Roses that sew out so beautifully you would think they are real! 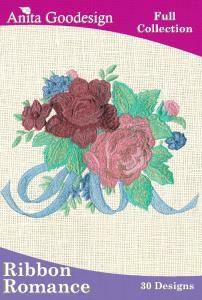 Gorgeous bouquets, endless borders, links, towel designs, and much more. Try using a string of roses down the side of a skirt or denim using solar thread and watch your designs come alive in the sunlight.